A charcoal oven in the kitchen of the Karen Blixen Camp, Maasai Mara. b) cooks food really really well! And it only uses a handfull of charcoal thanks to insulation and the ceramic liner! 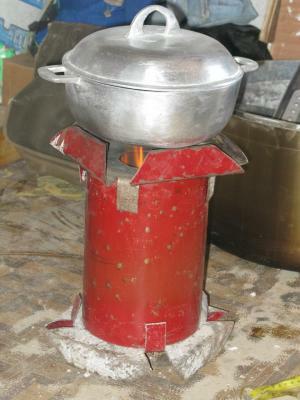 [MAGH 3G]( http://e-magh3g.blogspot.com/ ) is an adaptation stove. 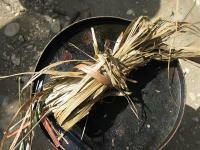 All types of biomass, briquettes and charcoal can be used for cooking. This is an all in one stove. It was found that many families have at least two or three types of stoves in rural areas for using types of biomass as fuel. Now with just one stove they have the freedom to use all types of Biomass as fuel. There is an option to control primary air, to control air from the fuel feed side opening, and secondary air (while using TLUD adopter). Weighs less than 2 kgs, 9 inches in height and 7 inches diameter. Most convenient for regular use, travel, relief, refugees, etc. Reusing metal sheet, these stoves are completely hand made. The cost of each stove piece is $5 (USD). Over the past weeks several NGOs and individuals have written to ask how it is that we determined how much a family spends each day on charcoal. This is the initial survey we did for IOM over a month ago (pdf). We have since continued each week to do updates but the numbers are unchanging. The three camps I have chosen to include in the excel are good examples of the variation. One is a semi permanent camp that, in part, was there prior to the quake, one is an organized camp that was established through collaboration between the local government and various local and international NGOs, and the third is a spontaneous camp that sprang up post quake in the hopes that aid would arrive. On a happy note, since we did this original survey I am happy to report that the spontaneous camp has received showers and sanitation facilities and a great number of tarps and tents. It should be noted that there are also ghost camps. These are camps that have no cooking facilities. They are created in the hopes of receiving aid or by people who still worry about sleeping in their houses. In the latter case, the people spend the day at home and sleep in the camps. There is a very nice one in Delmas with about 400 families and a small clinic. I hope this helps answer the charcoal cost questions that many have been asking. Lifeline to Haiti is a joint project between International Lifeline Fund (ILF) www.lifelinefund.org , WorldStove(WS) http;//www.worldstove.com , and local partners. 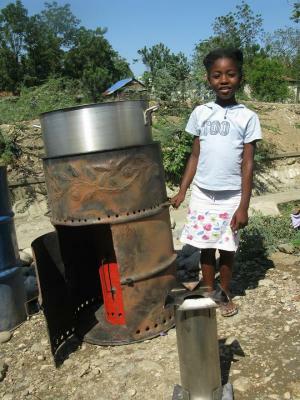 The short term goals are to provide high-efficiency low-emission cook stoves to families affected by the recent earthquake. 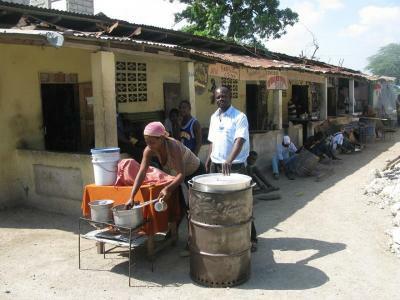 The long term goals are to establish a permanent locally owned and operated stove factory and distribution network in Haiti. Our recent survey work in the IDP camps has indicated that fuel prices have undergone a 50% price hike since the earthquake. 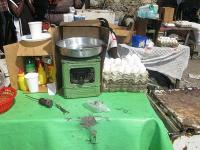 The inefficiency of local stoves, the increased cost of fuel and simultaneous decrease in earning options following the quake make the rapid implementation for the stoves a pressing concern. International Life Line Fund is a Washington D.C. based nonprofit NGO. With years of experience in the implementation of stove programs in areas where fuel is a critical concern such as Darfur, Uganda, Kenya, and Tanzania. 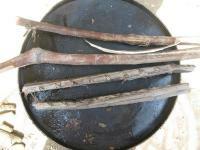 It is vital to have a keen understanding of how critical stoves are to health, economy, and the environment. WorldStove is an expert in high efficiency cook stoves with projects in numerous countries around the world. . 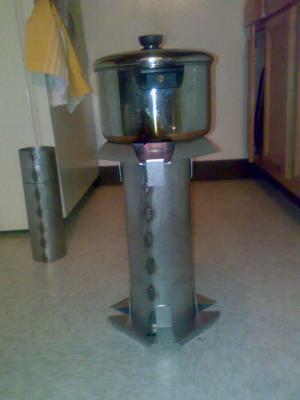 The stove selected for the Lifeline to Haiti Project is the LuciaStove. 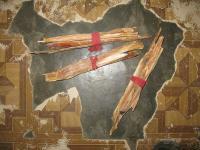 It specifically designed to eliminate the need of charcoal or wood. It ships flat to keep shipping costs at a minimum (1000 stoves can fit in a little more than a cubic meter) and can be easily assembled b y local skilled and unskilled collaborators creating desperately needed local jobs. The LuciaStove boasts long life low emissions and the ability to use any waste plant, paper or cardboard as fuel. It does not burn the fuel but instead turns it into a clean (blue flame) burning gas with an energy content comparable to propane. Local Partners are fundamental to both the short and long term success of the project for they help can identify the places of greatest need and assure that training, distribution and continual evaluation allows the stove program to have the greatest positive impact possible. We have and continue to conduct survey both formal and in formal in new camps everyday. From Carefour Feuilles, Carefour, Petion Ville, Delmas, Plas Mai Gattes, and the informal camp Terren Aerport, it is clear that increased fuel costs, decreased earning options, a heavy dependence on charcoal and inefficient stoves are creating a severe burden on local households. Local daily income, for the households that have income, varies between USD 3.12 and USD 5. Charcoal is most often sold by the “Marmit” (a large coffee can) and not by weight. Cost decreases with larger purchases further disadvantaging those with the lowest income. In general the cost of a Marmit is around 25 Goude (0.625 USD assuming an exchange rate of 40 Goude/USD). The increase in fuel cost has forced many families to go from three to one meal per day and a daily fuel expenditure of 62.33 Goude (1.56 USD). Considering that many households have lost all earning options and that this fuel cost is the equivalent of 31% - 50% of the daily income of those fortunate enough to have work, the current situation is clearly unsustainable and is forcing households to make the difficult decision between food and fuel. 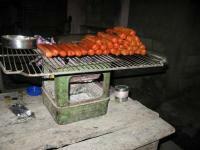 This stove was seen in operation in 6 and 8th March 2010 by in the home of Demberel in Ulaanbaatar, Mongolia. 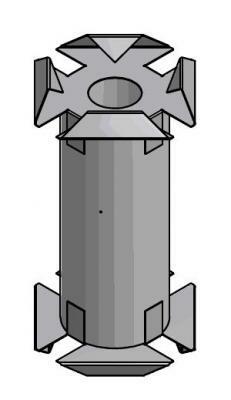 It is a form of top lit updraft (TLUD) stove part of the time. The combustion chamber is a (ceramic?) lined square box with a grate enclosing the top and the bottom. It is mounted in a fairly standard brick-lined steel box with a heat exchanger at the back. The overall dimensions are approximately 500 W x 600 L x 500 H.
Open the stove, push the top grate out of the way (towards the back). Build a wood fire in the combustion chamber and wait until it has burned to the point of being substantially charred. Load coal on top of the burning wood. At this point it becomes a bottom lit, updraft (BLUD) burner. The coal is left to be heated on top of the burning/smouldering wood. The top grate is pulled over the coal closing the box. It is now a square box with a grate on the top and bottom. When flames emerge through the coal and appear above the top grate, the box is flipped over using the handle on the front of the stove. At this point it becomes a TLULD burner because the charcoal has been moved to the top. The smoke arising from the hot coal below has to pass through the charcoaled wood on top and is ignited. The charcoal finishes burning during which time the coal gets fully ignited, de-volatilised and coked. After that it is an ordinary coke fire. The coke fire burns until it expires. During the first visit it was tested with a combustion analyser during the later portion of a burn. There was nothing unusual about the fire. On the second visit gas samples were taken during ignition and for a period of one hour afterwards. The sample point was where the gases leave the mass wall and enter the bottom of the short chimney passing through the roof. Gases were analysed with a certified TSI CA-6203 combustion analyser. Initially the CO/CO2 ratio was 20% to 40% as the fire got going. The ratio after one hour was just over 4% and 12 % late in the fire. At all times there was a high excess air ratio, 900% on high power and 1500% on low. This is higher than a traditional stove which runs 400-1000%. The system efficiency was negatively affected by the high excess air level: from 40 to 50%. The system efficiency of a traditional stove is about 70%. The major portion of the particulates are emitted during the first 45 minutes in both stoves. The 'heating wall' is a heat storing brick structure that condenses the combustion and fuel moisture thereby retaining the latent heat of condensation. They are gaining popularity. In spite of condensing the moisture and the low gas exit temperature (70-90 Deg C) the system efficiency is not high because of the great quantity of warmed air passing through the system. The openings are large and the stove is generally leaky, for example the cast iron top on the one we tested is not bolted onto the body (see the picture near the end of the video). A moveable flat plate with a few holes in it is provided over the top grate that limits the rate of combustion. The burn rate is quite high for a domestic stove (because of the large area of the grate). It is probably able to reach 40 kW thermal output. The flat plate is pulled over the top grate and interferes with the airflow, extending the burn. A full charge of coal will reportedly burn for 8 hours in that condition and still have some hot coals left with which the next fire can be started. That is a major consumer demand - burning through the night. : It is likely that this system will reduce start-up emissions from the point that the hot coal is under the burning wood/charcoal fire (the TLUD stage), for approximately 1/2 of the ignition cycle. : The system efficiency is low compared with a traditional stove which means that although the rate of particulate production may be less per kg burned during part of the ignition cycle, more coal might have to be burned to provide adequate heat, possibly increasing the overall production of smoke. He reports that they wish to install 80 in homes around Ulaanbaatar to gather user opinions. Clearly pellets are the single best fuel option for Haiti right now. Ethanol stills use coal or wood, coal is not sustainable, and wood is vanishing fast. As for coal it is now being imported because local production and availability of wood is not able to keep up with demand and because much of Haiti is deforested. All fuel options underwent a 50% price hike following the earthquake. In ascending order of use the most common fuels are propane, kerosene, wood and coal. Port au Prince uses 80% of all the coal consumed by Haiti. Wood, prior to the earthquake, was used mostly in rural areas but in many of the camps that we are working in we’ve noted more and more people using wood in their charcoal stoves. Kerosene is very expensive and used not for meals but for quick things like eggs or reheating precooked food. Following the fuel cost hike, however, I have seen more and more of the kerosene stoves gutted and transformed into small charcoal stoves by removing the tank and burner, pounding holes in some sheet metal for form a sieve to hold the charcoal and placing either a pot on the coals or using the rack or radiator from a refrigerator as a grill. As for propane it is used but the families in top 3% of the economic ranking. Regarding cost it is important to note that the drop in earning options and the spike in fuel costs now means that most of the displaced families now must spend 40% to 60% of the daily family income just to purchase fuel to cook with. In many cases this has meant that families have gone from eating two or three times a day to once a day even in the areas where WFP/PAM is sending distributing food. We could use fuels directly in the stoves which is one of the reasons I like gasifying stoves (fuel too small to use in a standard stove can be used in gasifying stoves); unfortunately the ability of gasifying stoves to use almost any biomass often creates misconception that all biomasses are the same. Users become disappointed when rice husks are used up faster than oak chunks. 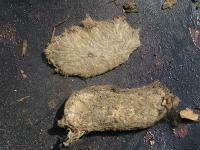 To avoid this I see briquettes and pellets as the best options. They are more consistent, clean to handle, low-cost, and perceived as a more modern fuel. This last is particularly important because many people are well invested in the “fuel ladder” and if they have already made the perceived social economic move forward (from wood to coal) they will not like to switch again unless it is to move up another rung. Marketing will be key to show that pellets and briquettes are a newer more modern fuel, it is important that pellets and briquettes not be viewed as taking a step back since they are made with “poor” materials. 1. What is the fuel offset by using the pellets? Is it 50% savings compared with wood? 2. How much imported charcoal does it offset? 3. 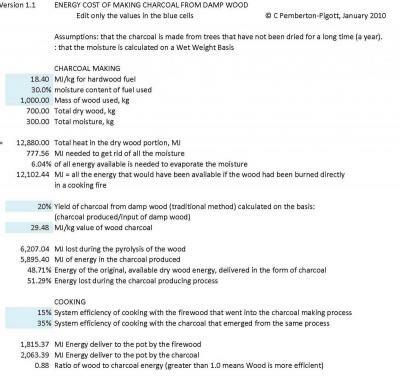 What are the relative costs of imported charcoal compared with pellets? 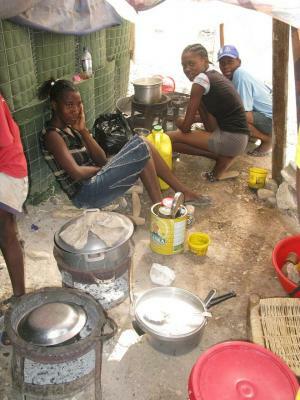 for now, thanks to Green Circle BioEnergy in FL we are providing free pellets to the people using our stoves. 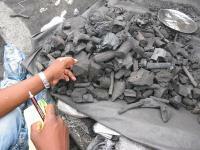 in general charcoal costs between 40% and 60% of a family's daily income. Daily income is about $5 US. 4. What is the benefit in number of meals from donated pellets? How may families could cook more than one meal per day by using donated or subsidized pellets as a transition fuel? Green Circle Bio Energy's generous donation of 60 tons will provide 145,000 to 148,000 family meals, or feed about 740,000 people each once. I strongly encourage other pellets producers to follow Green Circle's lead and in the mean time am working with the UN to see about funding regular shipments either weekly or biweekly to Port au Prince for the foreseeable future. As a happy plus we have teamed up with three local ag and aforestation groups who will use the biochar produced by the stoves to restore soil carbon and help areas at risk of becoming desertified. What Feed Stock Options are there in Haiti? Feed stocks vary widely through Haiti but in the interest of simplifying logistics and keeping transport costs to a minimum I recommend that local pellets/briquette production be made using local materials. Clearly this means each small pellet mill or briquette press will have a specific optimal mix. UNDP and the Clinton Foundation have done a fine job with this concept and their briquette plant is now in its third year of operation. The use the Work for Pay model developed by UNDP for the collection of paper and cardboard throughout the city. These are then soaked in large drums and pounded in enormous wooden mortars to archive a consistent slurry prior to pressing. 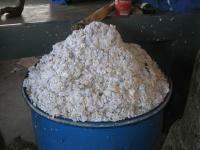 I would recommend the additional purchase of a hammer mill or two to accelerate production. 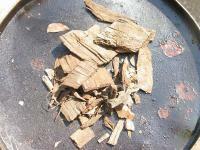 We have measured a wide difference in hardness of the briquettes which makes the use of them harder to learn. This could easily be fixed with a grading protocol prior to the sale of the briquettes or controlling the pressing and packing procedure of the press. 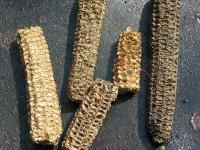 Pellets would have the advantages of ease of use, faster production rates, no drying period (during the dry season the briquettes require three days to dry but during the rainy season drying can take as much as a week) and a wider variety of feed stock options to provide a more energy intensive fuel. Around the quake affected region the feedstocks we have tested over the past five weeks have included, bagass, rice hulls, coffee hulls, bamboo, sawdust (many mills are working overtime to provide wood for shelters), chadek rinds, coconut shells and husks, mango cores, palm fronds, sugar cane, sugar cane shavings, paper, cardboard (personal thought, much waste has been generated during food and aid distribution, it would be nice to be able to use all of it so as not to leave a littered city in our efforts to help). All larger wood was used following the quake either for building shelters or to cook with. 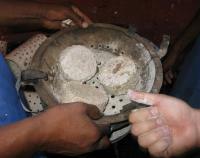 My favorite has to be chadek rinds, which by themselves produce a spectacular blue flame in the Luica Stoves. Chadek are large pear-shaped citrus fruits. 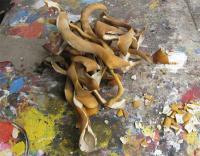 And the rinds are saved as fire-starters. Bagass poses some challenges in that the gas it produces often has sugars in it that do not always burn. 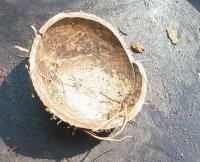 This was not the case with the denser sugar cane shavings or the full cane chunks. Which leads me to believe that bagass, once pelleted would also function well. This, if verified would be a fantastic feedstock in that it is by far the most abundant in this area with mountains of it just sitting throughout the region. Out side the quake affected areas there are a great many other feedstocks and the energy balance must be carefully made to see if any of these would make sense. From what I have seen vetiver grasses are clearly the most promising feed stock option followed closely by banana plantain plantation and processing waste. For the short term and immediate future the best solution would be to import pellets. While the thought of importing fuel may cause some reservation it must be noted that current aid programs are importing charcoal to cook the food that is being distributed. Current food distribution of rice alone requires a daily supply of 600,000 kg of charcoal. Larger camps are importing propane. 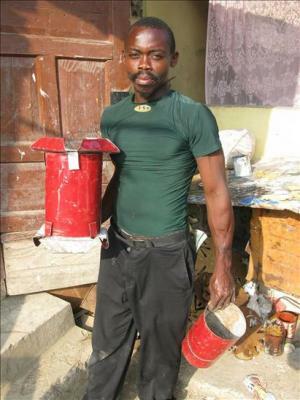 If the aid effort is already importing fuel would it not make sense to import more environmentally compatible fuels which at the same time would help sensitize Haitian stove users about a new fuel which could be sustainably 100% Haitian produced? We have enough pellets for the school feeding programs and some camps for the near future but a steady donor supply would be key as we work with WFP to establish up to 30 local pellet mills throughout the Port au Prince area. Other askes could be small mills for schools, shipping and logistics help with donor pellets (getting the first shipment was a nightmare)and experts or pellet producers willing to consider production in Haiti, the market here is ready and the need for jobs here is great. Photos of all three are attached (please note on the large version that the local artisans we are working with insisted on decorating it with trees and birds saying they had to because if people use these stoves the trees will come back to Haiti and then so too the birds. 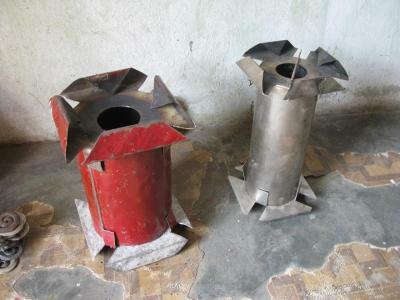 Haitian Lucia Stove in Use, note no smoke. Why Invest in a Cookswell Energy Saving Oven? Save Money, Save Energy, Eat Well! Since the introduction of our line of Cookswell Energy Efficient Charcoal Ovens in 1992, thousands of ovens have been sold regionally and countrywide, to all manner of people for all manner of uses. Approtech offers the Philippine versions of the Cambodia New Lao Bucket (Mabaga Kalan) cahrcaol stove and the Sri Lankan Anagi (Maliyab) fuelwood Stoves. 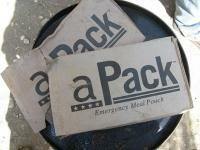 The new Lao Bucket was developed by GERES-Cambodia and is approved for carbon credit projects. See brochure attached.